Is it a heresy to believe that the Pope is always infallible? Yes. Vatican I infallibly taught the criteria under which the teaching of the Pope is infallible. “9. 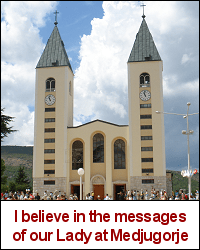 Therefore, faithfully adhering to the tradition received from the beginning of the Christian faith, to the glory of God our savior, for the exaltation of the Catholic religion and for the salvation of the Christian people, with the approval of the Sacred Council, we teach and define as a divinely revealed dogma that when the Roman Pontiff speaks EX CATHEDRA, that is, when, in the exercise of his office as shepherd and teacher of all Christians, in virtue of his supreme apostolic authority, he defines a doctrine concerning faith or morals to be held by the whole Church, he possesses, by the divine assistance promised to him in blessed Peter, that infallibility which the divine Redeemer willed his Church to enjoy in defining doctrine concerning faith or morals. Therefore, such definitions of the Roman Pontiff are of themselves, and not by the consent of the Church, irreformable. If anyone claims that the Pope is never able to teach infallibly, they contradict this definition; that is one type of heresy. But if anyone claims that the Pope is able (by himself) to teach infallibly under a different set of criteria, such as a lesser set of criteria, or requiring a greater set, or changing the criteria, that is another type of heresy. The Magisterium infallibly teaches that these are the criteria for papal infallibility, and so any other claimed criteria is an heretical claim. 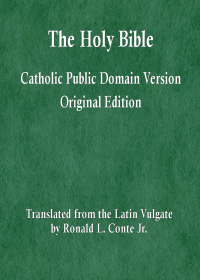 Those who say that the Pope is always infallible, or that he is always infallible when he teaches, or when he teaches on faith and morals, that is to say, that a lesser set of conditions is sufficient, are contradicting the definition of Vatican I and thereby adhering to a material heresy.